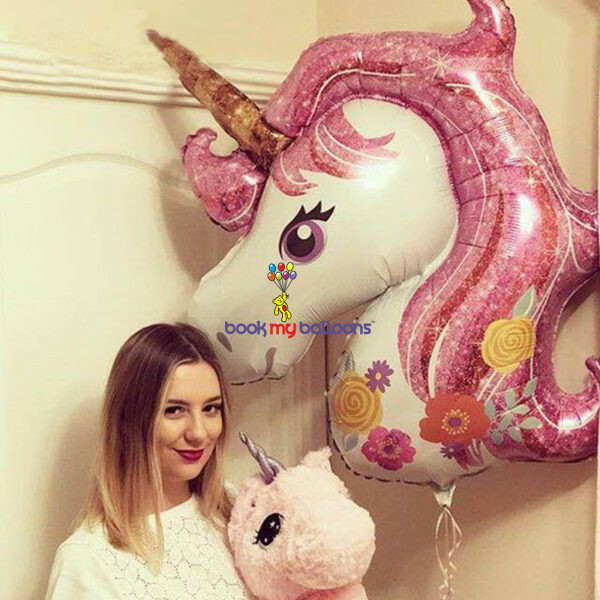 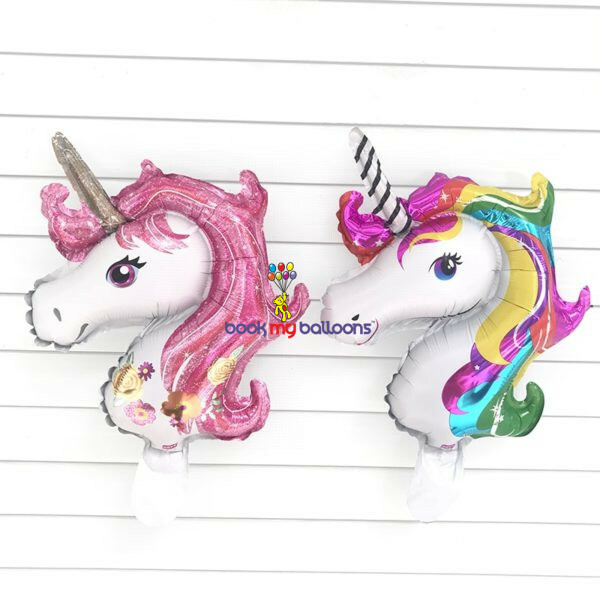 Add a whimsical touch to your little girl’s birthday party with this Giant Magical Unicorn Balloon! 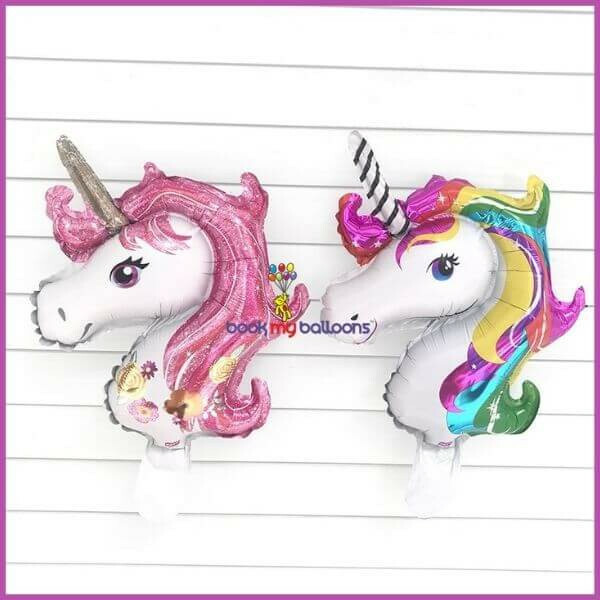 Nearly three feet tall, this balloon is shaped like a unicorn’s head and will blow away party guests. It features a gold horn, pretty pink hair, and colorful flowers printed on it. 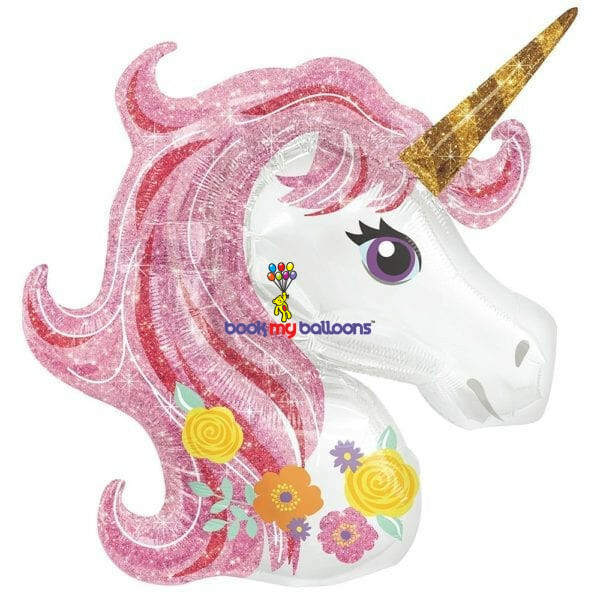 Make this the centerpiece of a balloon bouquet or let it stand alone to decorate your little girl’s unicorn birthday party.